WGTS 91.9 is a non-profit, faith-based organization that relies on the gifts of generous people just like you and business partners to continue spreading hope and encouragement throughout the DC Metro area. Here are a few of the most frequently asked questions about giving, and why we ask for your gifts. You may give securely online, as a one-time gift, or you may set up Easy-Pay for convenient, secure monthly giving. If you would like to mail in your gift, please use our Gift Authorization Form. Just remember to make checks payable to WGTS 91.9. We’d also be happy to help you by phone at 301-891-4200 during regular business hours. Yes. Since WGTS 91.9 is a registered 501(c)3 non-profit organization, you can receive a tax-deduction on your gifts to this ministry. Will I receive a statement at the end of the year? Yes. We will send you a printed summary of your gifts by January of the following year. However, we will send a receipt for checks right away. When I request a single (one-time) gift during a fundraiser, how long do I have to send in my donation? As soon as possible. Ok, that would be nice. But you have one year to send it in. And we promise we won’t badger you for it, either. If I give on a monthly basis, when does my donation expire? Unless you’ve given us an expiration date, your donation is ongoing, so there’s no need to remember to renew. Of course, if you need to make a change, we can always help. What are your giving levels? Why can’t you just play commercials for income, rather than asking listeners to give? First of all, we wouldn’t have the joy of sharing in this wonderful ministry together in reaching our neighbors with the message of Christ. But legally, we are not permitted. The FCC has set all frequencies below 92.1 MHz as public (i.e. listener supported) educational stations, which cannot sell advertising. There are several for-profit businesses and companies that support us financially. In turn we provide a list of these Business Partners on our website as a thank-you, and service to our listeners. Do you accept donations of stock? Yes. Just fill out this form to get started. WGTS 91.9 was founded in 1948, as an AM carrier, broadcasting to the campus of Columbia Union College (now Washington Adventist University). In 1957, the station received an FM broadcasting license from the FCC, expanding its signal. In 2018 the station purchased itself from the university and is now licensed to Atlantic Gateway Communications, Inc., a 501(c)(3) non-profit organization. We have been broadcasting Contemporary Christian Music since 1997. We are committed to using your financial gifts with integrity. We are accountable to not only you, as a partner in this ministry, but ultimately to God. In an effort to be transparent, you may view our financial statement for the fiscal year ending June 30, 2017. You can also find all other documents and resources regarding financial accountability here. WGTS 91.9 is an accredited member of the Evangelical Council for Financial Accountability (ECFA) and follows the highest ethical standards. 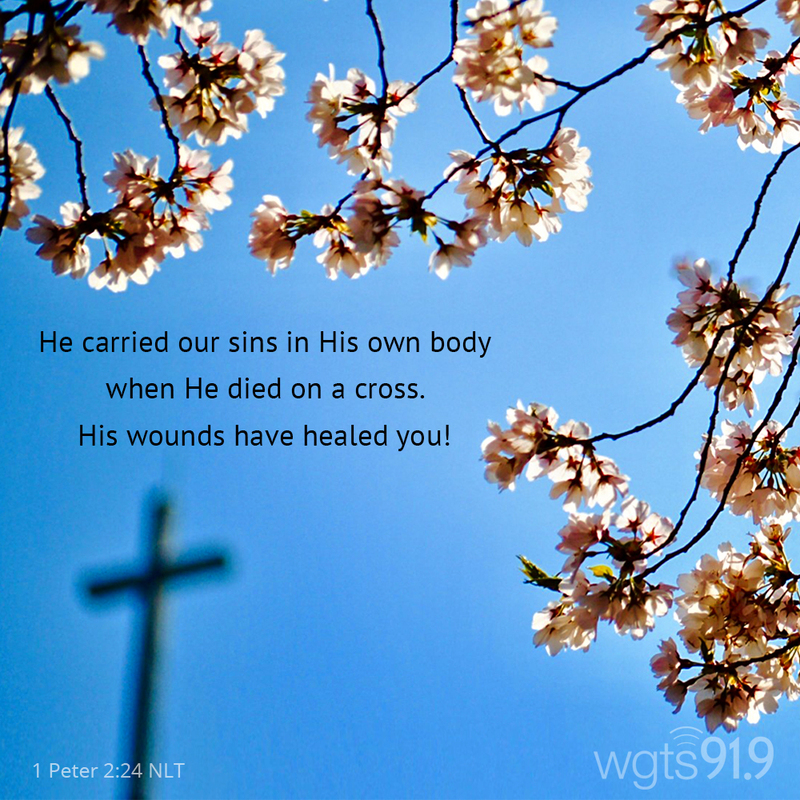 "He carried our sins in His own body when He died on a cross. His wounds have healed you!" ©2019 WGTS 91.9. All rights reserved.